Product #20787 | SKU DMM0004-B | 0.0 (no ratings yet) Thanks for your rating! Designed for quick and easy mounting of a DPA Miniature Microphone. 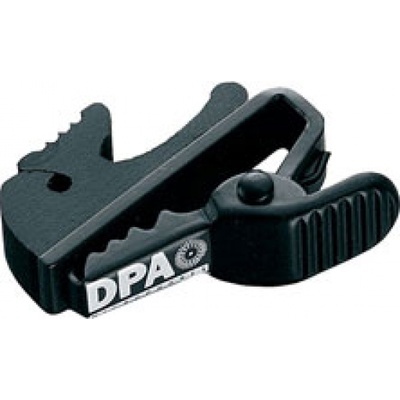 The DMM0004 DPA Microphones Miniature Microphone Clip is a clip especially designed for quick and easy mounting of a DPA Miniature Microphone. It's extremely small footprint make it ideal for situations where an inconspicuous mount is required, or fast changes on the fly are necessary. Use this convenient clip to perfectly position your microphones.